M&M’s Peanuts are colorful candies with a crunchy peanut center surrounded by smooth milk chocolate finished with a candy coated shell complete with the classic “M” stamp. Ingredient: milk chocolate (sugar, chocolate, cocoa butter, skim milk, lactose, milkfat, peanuts, soy lecithin, salt, artificial flavors), sugar, peanuts, cornstarch, less than 1% corn syrup, gum acacia, coloring (includes red 40 lake, blue 2 lake, blue 1 lake, yellow 6, yellow 5, red 40, blue 1, blue 2, yellow 5 lake, yellow 6 lake), dextrin. It is very tasty and delicious. 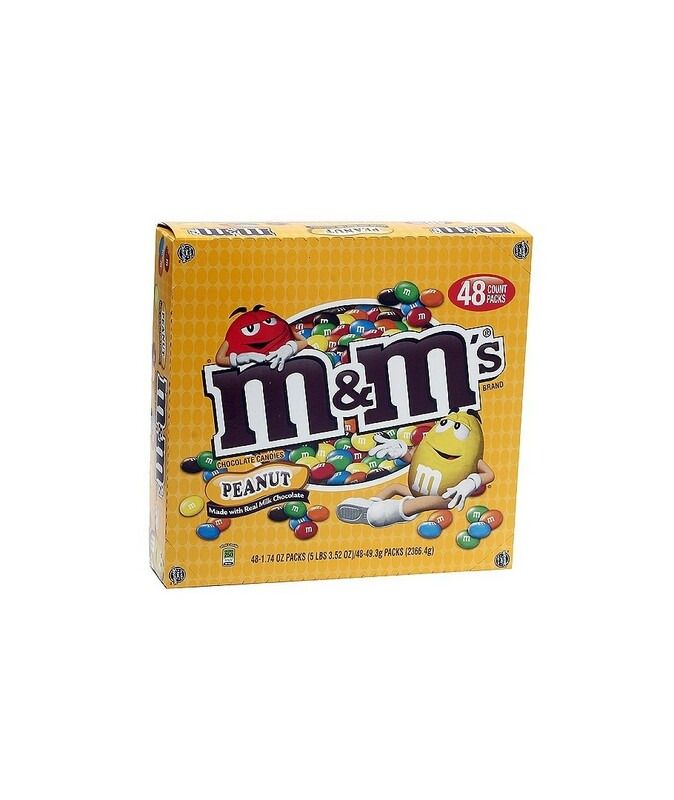 you can buy M&M’s Peanuts in bulk at a wholesale price at Volt Candy Online. Don’t see myself ever going to enjoy a candy outside this candy just has everything one can require a candy to possess.